Himachal Pradesh’s National Students Union of India (NSUI) celebrated its 42nd annual day at Himachal Pradesh University, Shimla today. 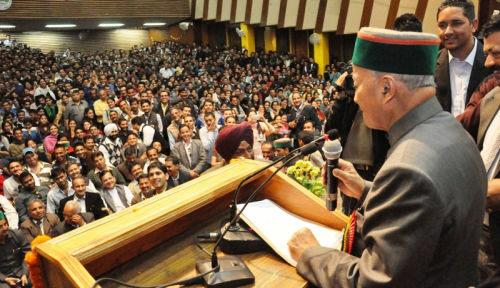 Chief Minister Virbhadra Singh attended the function and while addressing NSUI followers, Singh said that State Government was committed for providing better opportunities of education and employment to the youth of the State. Chief Minister said that NSUI was the leading student organisation of the country. Established in 1971 under the able guidance of former Prime Minister of India, Indira Gandhi, NSUI was working for promoting Secularism, Socialism, unity and good governance. He said that Congress followed the principles laid by Father of the Nation, Shri Mahatma Gandhi and NSUI was also treading on the same path. He expressed pleasure that NSUI was working with full devotion for the welfare of the youth in the State. Virbhadra Singh stressed for maintaining peace and healthy academic environment in the University and every student organisation should contribute for achieving the same. He said that every body should represent themselves with their grievances if any before the University Administration in peaceful and calm manner and any type of indiscipline and violence in the Campus, disturbing the academic environ would not be tolerated at any cost and guilty would be dealt with according to the law of the land. Chief Minister said that State Government was giving special emphasis towards self sufficiency of the youth and had decided to provide Rs. 1000 per month to the 10+2 or higher educated youth as skill Development Allowance thereby fulfilling the promises made in Election Manifesto of the Congress Party. He said that special prerogative was being given to youth for skill development and provide them opportunities of employment and self employment besides measures being taken for expansion of Technical education in the State. 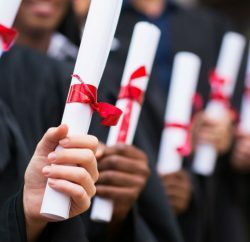 Virbhadra Singh said that Polytechnic Institutes had been established in Public Sector in seven district of the State and Polytechnic Institutes in Bilaspur, Kullu, Sirmaur, Kinnaur and Lahaul- Spiti would be opened soon. 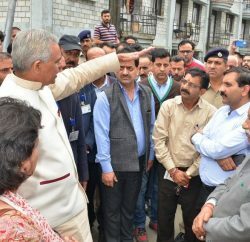 Chief Minister said that the State Government was taking effective steps to strengthen the Educational infrastructure, adding that the government had taken a decision to bring comprehensive change in the curriculum of Himachal Pradesh University and colleges affiliated with it. Chief Minister also released the book titled ‘Mamta Ki Chaon Mein’ authored by Dr. Mamta Mokta, Professor in the University. Prof. A.D.N Bajpayee, Vice Chancellor of the HPU said that Virbhadra Singh was a source of inspiration and hard work to the youth as he himself works day and night for accomplishment of his task and for the welfare of the people of the State at large. Nikhil Divedi, National President NSUI and Yadhupati Thakur, State President NSUI also spoke on the occasion. MLA’s, Bambar Thakur, Ajay Mahajan and Sanjay Rattan, Member Himachal Pradesh University Executive Council Harish Janartha, Vice-Chairman HRTC, Kewal Singh Pathania, former office bearers of NSUI. Atul Sharma, Mahinder Stan and Devendar Busheri were also present on the occasion amongst others.